The following 5th graders were the final candidates in the 2017 Statewide Election for the office of 2018 Connecticut’s Kid Governor®. The candidates were nominated by the 5th graders in their schools and completed the necessary paperwork qualifying them to run for office. Each candidate created a campaign video (below) outlining why he or she wanted to be Connecticut’s Kid Governor; what leadership qualities he/she has; what community issue is important to him or her and why; and a three-point plan outlining ways for Connecticut 5th graders to make a difference around that issue. Fifth grade students in registered classrooms watched these videos carefully and used the Analyzing Campaign Videos and Speeches worksheet to study the candidates’ platforms and inform their vote during the Statewide Election. The Statewide Election was held November 6-14, 2017. Each registered 5th-grade student was entitled to one vote. All votes were due by 5pm on Tuesday, November 14, 2017. 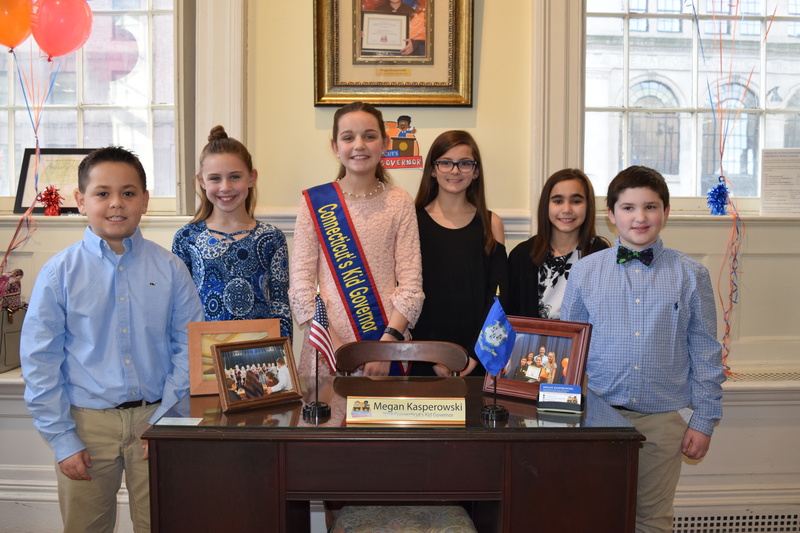 These candidates became of the first ever Kid Governor’s Cabinet in 2018, working with 2018 Connecticut’s Kid Governor Megan Kasperowski. Analyzing Campaign Videos and Speeches worksheet – Students used this worksheet when analyzing the above campaign videos (one per video) to guide their assessments of the candidates’ platforms. Connecticut’s Kid Governor Statewide Election Ballot – This ballot was used for students to cast their votes for Connecticut’s Kid Governor. 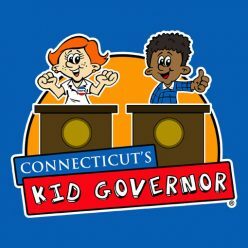 Media Kit for Schools Voting in the 2017 CTKG Statewide Election – This Media Kit will assist you in promoting the Connecticut’s Kid Governor Statewide Election experience with local media.